Just 15 minutes from Downtown Midland, located on CR 1065 and CR 160 is some of the best land that I have found this close to Midland. There is a lot of romance to this property with its rolling draws and lavish amount of Hackberry trees. This land has been a family heirloom and the potential for this acreage is enormous…a perfect site to build your dream home, have a small ranch, and/or a wonderful and exciting recreational place for friends and family. A great deal of wildlife exist in the draw e.g., deer, turkey, and hogs; it’s just like that “honey-hole” Grandpa had. The available property may be purchased as a 640 +/- acre section, may be split into 2 tracts of 320 +/- acres, and/or may be split into 160 +/- acres and/or 100 +/- acre tracts. One tract has an excellent Caliche pit located on it, which accounts for some really outstanding income. This is some SUPERB land! 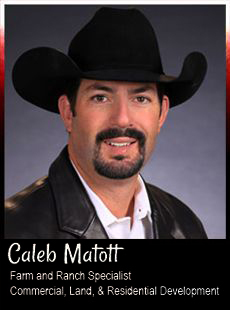 Contact Caleb Matott TODAY for a showing @ 432-349-3330 or RanchSpecialist@CMranchrealestate.com!